Middle Tennessee State University has a new bachelor of science degree, which is one-of-a-kind within the state and the region, available this semester. The fermentation science program seeks to provide skilled workers to the growing number of wineries, distilleries and breweries that have opened in Tennessee and to expedite potential growth into an untapped industry. Professor Tony Johnston and Assistant Professor Seockmo Ku are currently the only faculty members within the program, which aims to capture the interest in brewing beer and distilling spirits to propel Tennessee into one of the top brewing states. “Several years ago, our previous provost … said to me that he would like to have a brewing program here on campus,” Johnston said. Johnston has been an ambassador for fermentation science, both in the state of Tennessee and throughout the region, for a number of years. Johnston received his doctorate in Food Science from the University of Arkansas in 1995. He was a quality control manager in the food industry for six years and has six years of experience as a winemaker and owner at Tennessee wineries. After many discussions about how to make a degree that could function properly, Johnston was ready. So was MTSU. Fermentation science isn’t solely restricted to the production of alcoholic drinks and how they are made, but involves foods as well. Vegetables, fruits, meats, cheeses, breads and yogurts can all be fermented with the help of an industrial chiller, and those processes will be taught at MTSU. Dietary supplements are another product. 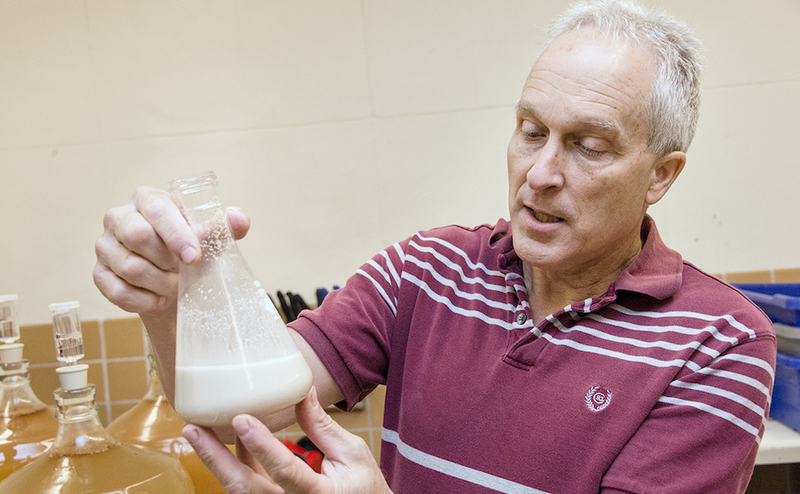 According to Johnston, there are less than five programs in the nation that offer such a broad study of fermentation science. However, the fermentation science course of study raised a legal question: Would students who are under 21 taste alcoholic products created in the classroom? According to Johnston, it is necessary for students who are studying fermentation to have the ability to taste the products they are creating. 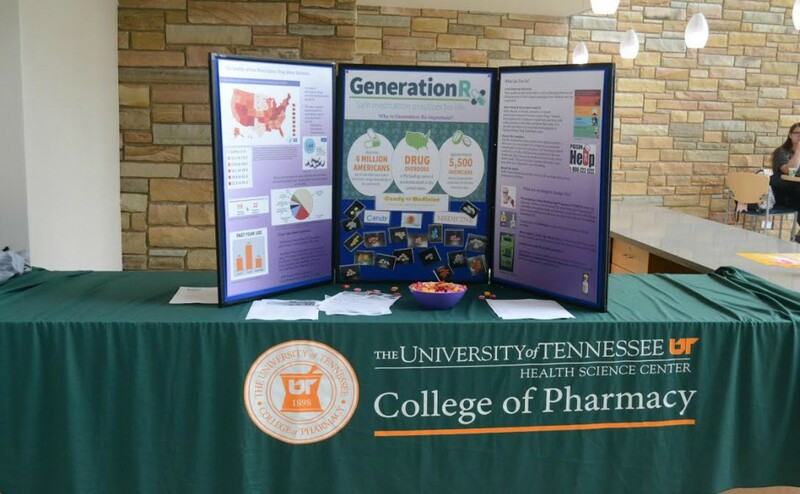 “We requested that a law be drafted here in Tennessee to allow students who are majoring in fermentation science to be able to taste a product that may contain alcohol after they have completed 60 hours of credit towards the degree,” Johnston said. The initiative passed in 2016 to allow students to taste but not “consume” the beverage. 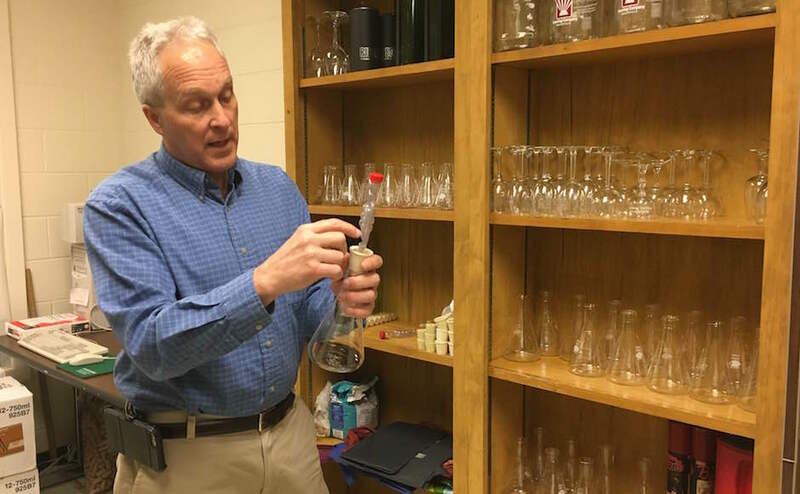 Johnston said his students are motivated, with a number of them making the decision to return to school for the fermentation science degree. There are currently 42 students enrolled in the first two classes being offered. One fermentation science student is Jordan Bevill, 32, who left the U.S. Navy last April after serving 10 years. Bevill applied for work at the Brooklyn Brewery in New York but was unable to land the job because he lacked a degree. Bevill is from Murfreesboro and returned home when he discovered the new program at MTSU. He was originally an engineering major but switched and is now currently enrolled in the entry-level fermentation class. Bevill, who sports a long beard that stretches down to his neck, spoke of his decision. He acknowledged he’s interested in crafting his own beer, but he was unaware of how much potential existed in the field. In other words, it wasn’t just the beer that persuaded him. “The science behind it is what drew me in,” Bevill said.